A white mini dress by Philosophy and my great love for exotic places, sun and adventure – that would be the exact description for today’s blog post. I grew up between two cultures, with a German mother in the country and a Spanish father and a spirited family. Traveling between Germany, Spain and Panama for 15 years – where my father now lives. Two hearts beat in my chest, maybe even three?! Because even for Latin America, especially Peru – where I lived and worked for a few months, I feel so much love. No wonder that I’m a real sun child and burn for adventure and new things. Philosophy – white Mini Dress and Flats. 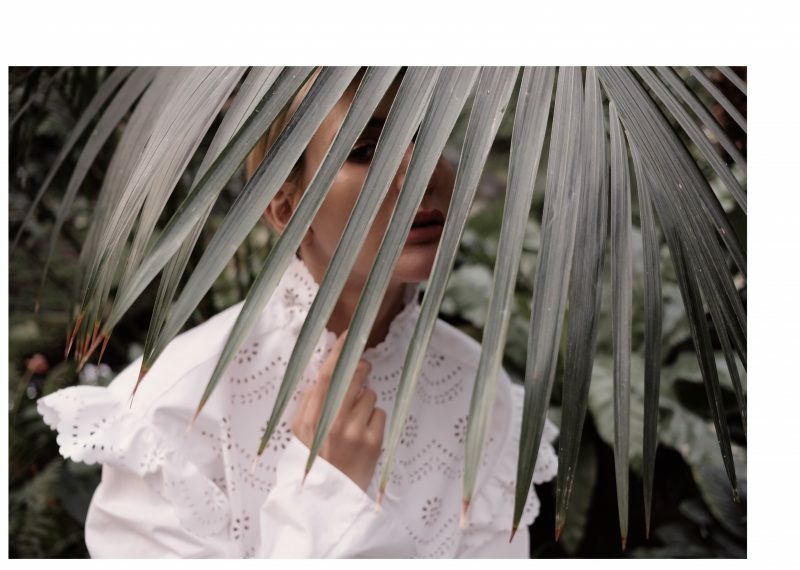 To be honest, I’m not a big sale shopper, and although it’s way too early in terms of temperature, my fashion heart already beats for the new Spring / Summer collection – especially for a white philosophy mini dress. 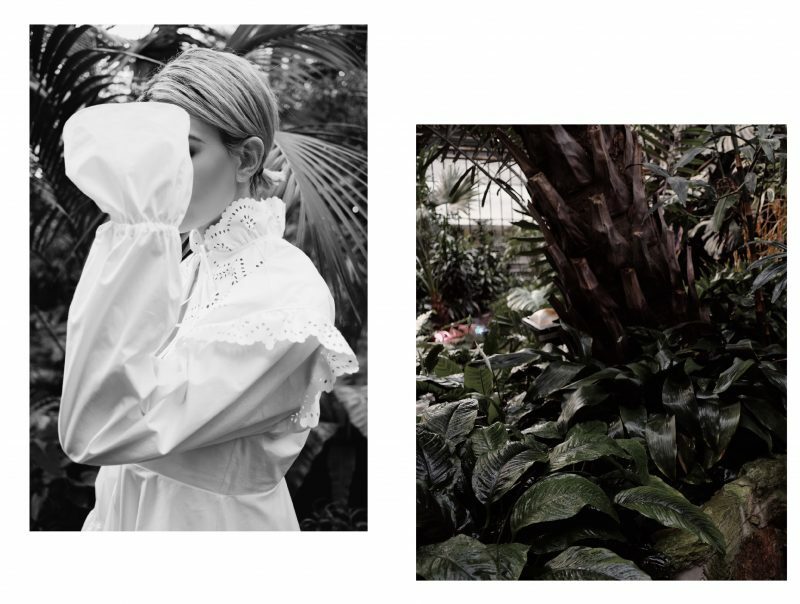 We shot the dress in the botanical garden of Frankfurt, which was like balm for the soul. The dress is quite feminine and through details such as the hole embroidery and flounces it gets a very romantic touch. I wear it with silver Metallic Flats by Sergio Rossi to make the outfit look a bit more adult. Since the white dress is already a statement itself, I wear the hair casual in undone look and almost don’t wear any make-up.